With advances in technology and maritime transport, human use of the ocean now extends beyond the traditional activities of navigation and fishing. Emerging activities such as bioprospecting, deep seabed mineral and hydrocarbon exploration and exploitation, offshore renewable energy developments and marine scientific probes of deep sea areas challenge the applicability of maritime law and policy in new ways. This handbook examines current regulatory and enforcement instruments and mechanisms for different sectors of maritime activity. Covering various jurisdictions, its specially commissioned chapters are authored by some of the world’s foremost authorities on maritime law, and offer unique perspectives on maritime law, policy and practice. 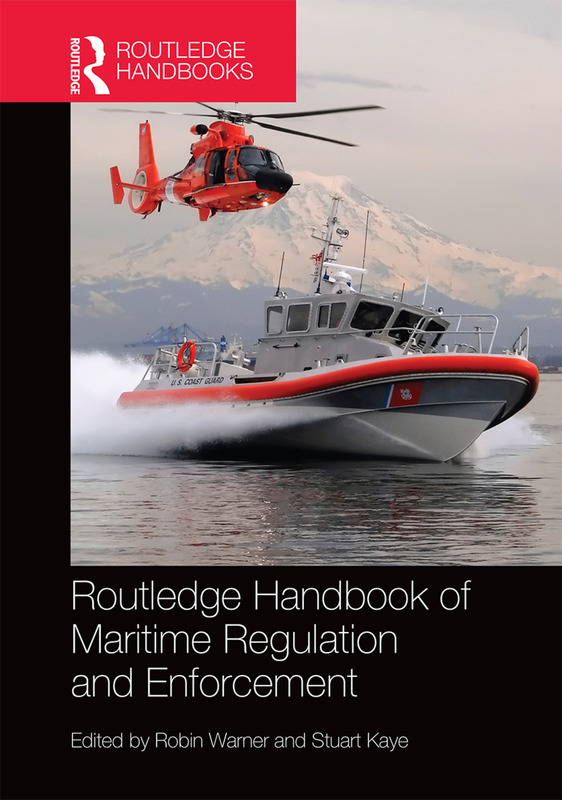 This comprehensive reference work will be of interest to scholars and students of maritime law, practitioners and non-lawyers interested in the regulation of offshore areas, as well as policy-makers. Robin Warner is Professor at the Australian National Centre for Ocean Resources and Security. She was formerly the Assistant Secretary of the International Crime Branch of the Criminal Justice Division in the Commonwealth Attorney General’s Department from 2002 to 2006. Previously she served with the Royal Australian Navy as a legal officer. Stuart Kaye is Director and Professor of Law within the Australian National Centre for Ocean Resources and Security (ANCORS) at eh University of Wollongong. He was formerly the Dean of Law at the University of Western Australia having been appointed Winthrop Professor of Law in July 2010. He held a Chair in Law at the University of Melbourne from 2006 to 2010 and was Dean and Professor of Law at the University of Wollongong between 2002 and 2006.